Marriage can be tricky in the best of circumstances. 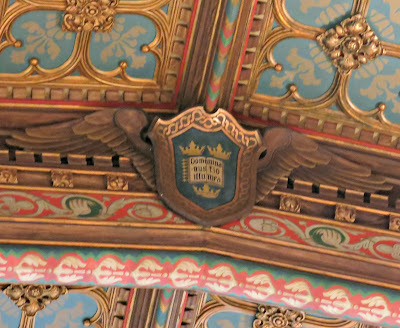 Two people from different families, possibly even different countries, regions, genders, races, socio-economic status and political leanings start living under the same roof and attempt to merge their individual existences into a shared life. One of us graduated from the University of Michigan, and the other attended THE Ohio State University. Whaaaaat? A Buckeye. Married to a Wolverine. How do we resolve that? 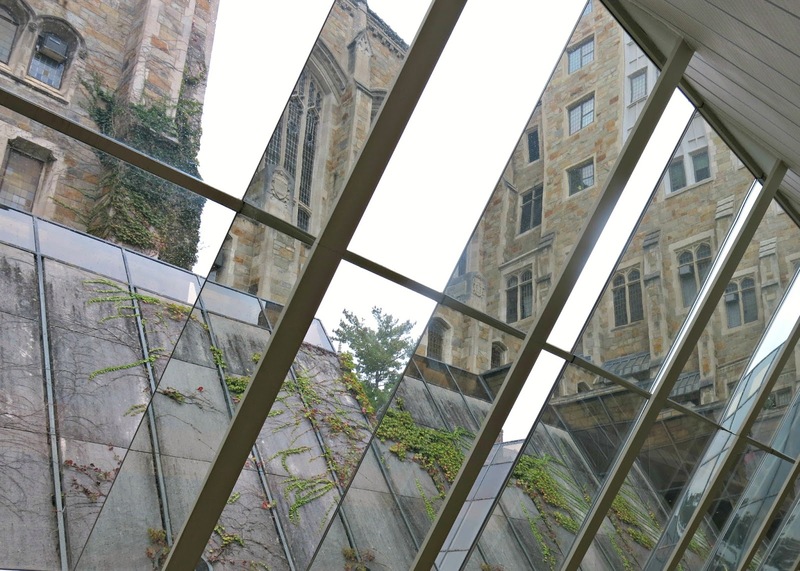 Well, recently my husband took me on a lovely weekend trip to Ann Arbor to help me to better appreciate his alma mater, so different from where I went to school. I thought the university was really lovely. We had a very nice time there. I think we have achieved an even greater appreciation for each other as individuals. We're like peanut butter and chocolate: so different, but so good together! Combine the confectioner's sugar, peanut butter and butter into a dry, doughy mixture. Roll this mixture in your hands to form round, walnut-sized balls. Place the peanut butter balls onto a wax paper-lined cookie sheet, and let them rest in the fridge while you start making the chocolate mixture for the outer shell. Heat water in the bottom of a double boiler, and slowly melt the chocolate and paraffin wax together in the top of the boiler until combined. 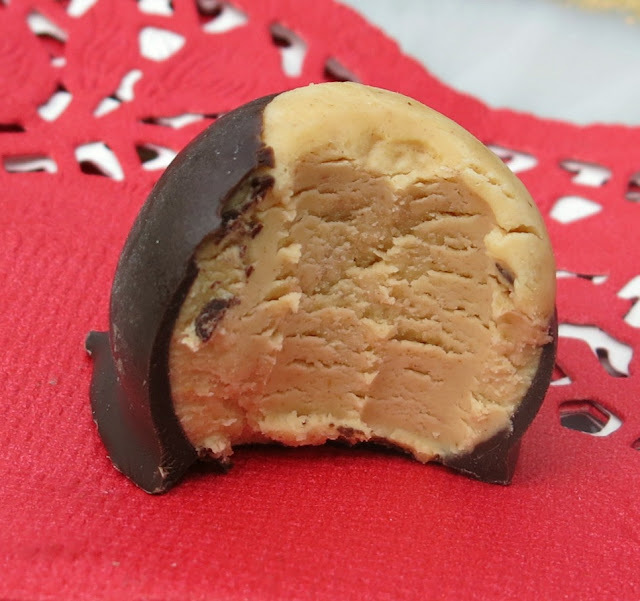 Remove from the heat, and dip each peanut butter ball about 3/4 deep in the melted chocolate. Return the buckeyes to the chilled, wax paper-lined cookie sheet, and place in the fridge to cool until their chocolate shells have hardened. Eat half a dozen or so, and then store the remainder in an airtight container in a cool-ish location. Ha, Ha...U of M and Ohio! I'm guessing U of M is the liberal one in the marriage. 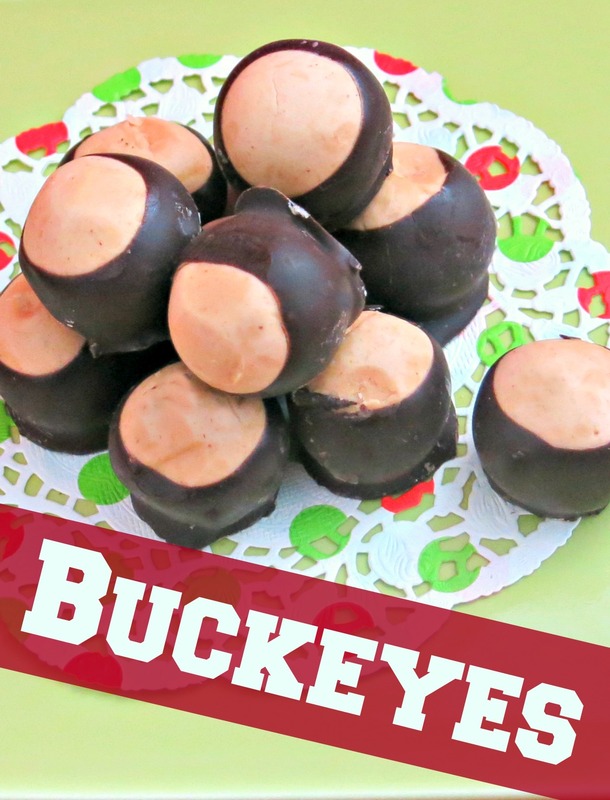 We live in Michigan, but my mother's family is in Ohio and I've never made any Buckeyes, but maybe I'll try making it this year with your recipe. My husband and I are both retired and lovin' it! I'm glad you enjoyed the post, and I do hope you try making some buckeyes -- if they allow that in Michigan. LOL! I like your style! That is too funny and buckeyes are amazing! I like your comments! 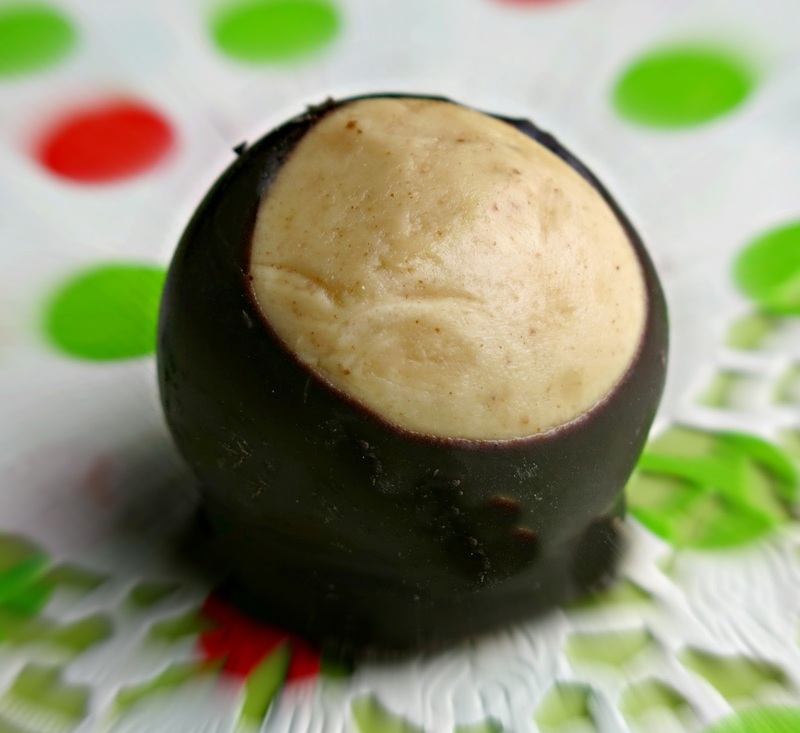 You are too kind, and I hope you have a chance to enjoy some amazing buckeyes this holiday season. I know I'll be making a lot more! Thanks for stopping by. Thank you. Glad you could stop by. YUM! I'm from Ohio and these are one of my favorites!!! Thank you for linking up today to the Holidays Celebration Link Party! That IS a deprivation! Thank you for hosting a fun party. Love buckeyes! I never make them though because then I'm fully aware of what's in them. If I just eat others then I can plead ignorance of all the calories that lurk within. :) Thanks for sharing your recipe! What a great strategy! I'll have to remember that. Thanks for visiting. Been there, done that! I think these things would be just as good melted, too. No way to escape it, I guess! Love your pins! Thanks so much for your support! I love Buckeyes but I've never tried to make them. Thanks for the recipe. It looks easier than I thought. Pinning. Thanks for pinning. As good as these things are, they should be a lot harder to make, don't you think? :) Thanks for stopping by! Absolutely! Thanks for the invite. Oh, yum!!! Thanks for sharing at My Flagstaff Home! But of course! Thank you for stopping by. O-H-I-O ! Thanks again for another great party! Thank you for coming by to visit. I hope you'll be back soon! Look tasty AND easy!! Thanks for sharing at the What's for Dinner linky party!! I love your party! Thanks for giving me an opportunity to share! I know, right?! I hope you try the recipe soon! That seems to be when we like them the best! Thanks for stopping by! Haha - a mixed marriage! The treats look so tasty! Honey, I've come to realize: They're ALL mixed! Thanks for checking out my post. As an OSU fan I've eaten more than my far share of Buckeyes yet have never made them. I've always wondered how people get the chocolate to make a circle around the top. I will have to try these for the holidays and if they don't look good enough to share then that just means more for me! Here's an extra tip for you, Amy, since you want them to look nice. (Mine don't last long enough to be concerned, usually!) Reserve a little of the peanut dough. Use a small fork or toothpick to dip the balls in the chocolate. Then, after the chocolate has hardened, plug the holes with a tiny bit of the dough. I hope you do try making buckeyes. I think it's mandatory for a Buckeyes fan. :) Go Bucks! Popping over again from Snickerdoodle Sunday to thank you for linking up your Buckeye recipe with us! Hope you are having a wonderful week! Haha! I am still smiling after reading this! I grew up in Ohio, and I have made these candies several times. Yours look wonderful, and now I am going to have to make some!! 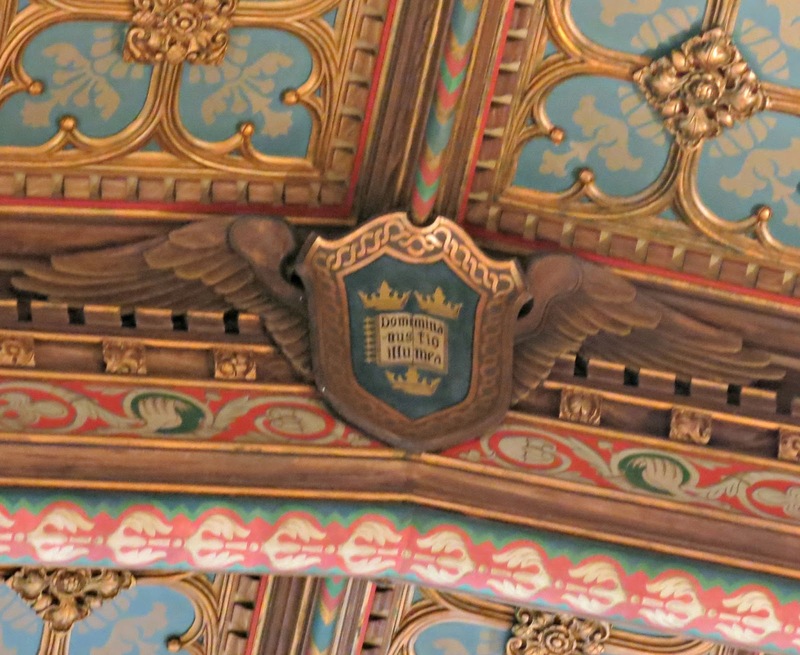 Thanks for linking up to Celebrate It! 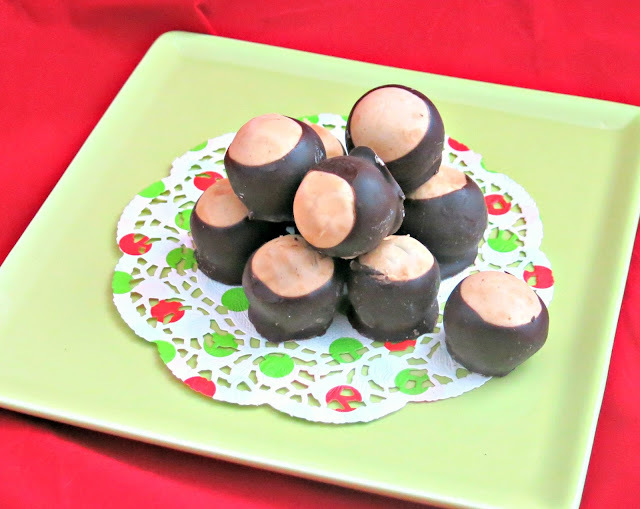 Your buckeye candy looks delicious.Thanks for sharing at Snickerdoodle Sunday.Pinned and Tweeted. About a year ago I had no clue what a buckeye was. Then I had one, then I was happy forever. Thanks for sharing your recipe on the Sunshine Life Blog Link Up. I need to introduce these amazing beauties to as many people as possible. I know there are still plenty of people around here who have no clue what they are missing! Did you know you can create short urls with Shortest and make cash from every visit to your short links. I was born and raised in rural Ohio and so I was also raised on Buckeyes as well. Christmases in my childhood home were always filled with the smells of peanut butter and chocolate. This is my all-time favorite comfort food.